When he was still a junior student at the Cologne Music Academy, studying music education and bassoon, Eberhard Marschall was already a member of the German Federal Youth Orchestra and the Young German Philharmonic. After graduation from secondary school he then moved on from Cologne to the Academy of Music and Theatre in Hanover, where he continued his bassoon studies with Klaus Thünemann. Only two years later he was engaged by the Bamberg Symphony as principal bassoonist and also successfully completed his exams in music education. Besides his orchestral work, Eberhard Marschall was, right from the beginning, a dedicated chamber musician, playing in such groups as the Linos Ensemble and the German Wind Soloists, with which he participated in a vast number of concerts throughout Europe as well as in China and Japan. He has also earned an excellent world-wide reputation as a soloist. 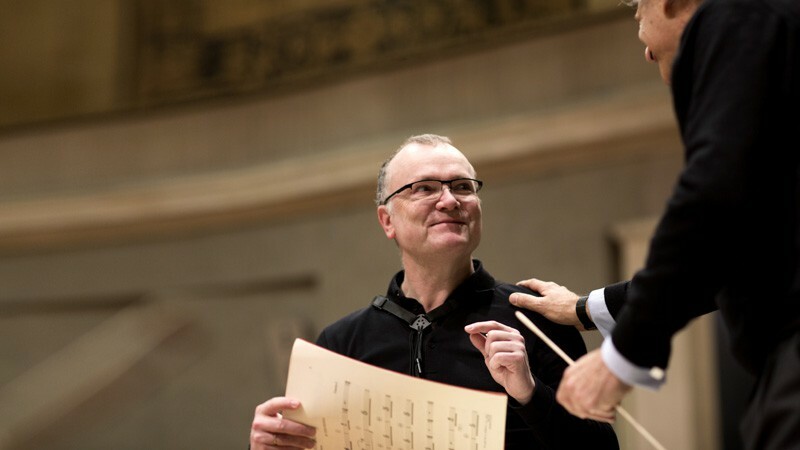 He has already held his present position as principal bassoonist in the Symphonieorchester des Bayerischen Rundfunks since 1985, and since 1988 he additionally serves as a professor at the Munich Music Academy. Eberhard Marschall has performed in a number of CD productions – special mention is due here to his recordings with the Linos Ensemble as well as the recording of Mozart’s Bassoon Concerto with the Symphonieorchester des Bayerischen Rundfunks under the direction of Sir Colin Davis.